Dahr Jamail is a feature story staff writer and producer for the Human Rights Department of Al Jazeera English. Currently based in Doha, Qatar, Dahr has spent more than a year in Iraq, spread over a number of trips between 2003 and 2013. His reportage from Iraq, including for TomDispatch, has won him several awards, including the Martha Gellhorn Award for Investigative Journalism. He is the author of "Beyond the Green Zone: Dispatches from an Unembedded Journalist in Occupied Iraq." Back then, everybody was writing about Iraq, but it’s surprising how few Americans, including reporters, paid much attention to the suffering of Iraqis. 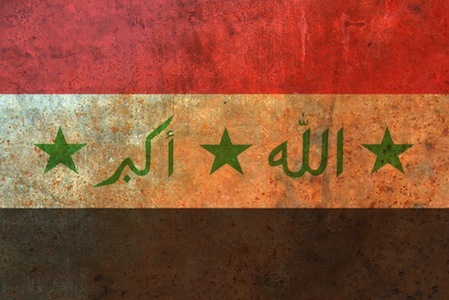 Today, Iraq is in the news again. The words, the memorials, the retrospectives are pouring out, and again the suffering of Iraqis isn’t what’s on anyone’s mind. This was why I returned to that country before the recent tenth anniversary of the Bush administration’s invasion and why I feel compelled to write a few grim words about Iraqis today. Over and over, I watch speeding cars hop the curb in front of this dirty clinic with next to no medical resources and screech to a halt. Grief-stricken family members pour out, carrying bloodied relatives -- women and children -- gunned down by American snipers. One of them, an 18-year-old girl has been shot through the neck by what her family swears was an American sniper. All she can manage are gurgling noises as doctors work frantically to save her from bleeding to death. Her younger brother, an undersized child of ten with a gunshot wound in his head, his eyes glazed and staring into space, continually vomits as doctors race to keep him alive. He later dies while being transported to a hospital in Baghdad. According to the Bush administration at the time, the siege of Fallujah was carried out in the name of fighting something called “terrorism” and yet, from the point of view of the Iraqis I was observing at such close quarters, the terror was strictly American. In fact, it was the Americans who first began the spiraling cycle of violence in Fallujah when U.S. troops from the 82nd Airborne Division killed 17 unarmed demonstrators on April 28 of the previous year outside a school they had occupied and turned into a combat outpost. The protesters had simply wanted the school vacated by the Americans, so their children could use it. But then, as now, those who respond to government-sanctioned violence are regularly written off as “terrorists.” Governments are rarely referred to in the same terms. Jump to March 2013 and that looming tenth anniversary of the U.S. invasion. For me, that’s meant two books and too many news articles to count since I first traveled to that country as the world’s least “embedded” reporter to blog about a U.S. occupation already spiraling out of control. Today, I work for the Human Rights Department of Al Jazeera English, based out of Doha, Qatar. And once again, so many years later, I’ve returned to the city where I saw all those bloodied and dying women and children. All these years later, I’m back in Fallujah. Every Friday, for thirteen weeks now, hundreds of thousands have demonstrated and prayed on the main highway linking Baghdad and Amman, Jordan, which runs just past the outskirts of this city. Saddam Hussein’s country was notoriously corrupt. Yetlast year, Iraq ranked 169th out of 174 countries surveyed, according to Transparency International’s Corruption Perception Index. It is effectively a failed state, with the Maliki regime incapable of controlling vast swaths of the country, including the Kurdish north, despite his willingness to use the same tactics once employed by Saddam Hussein and after him the Americans: widespread violence, secret prisons, threats, detentions, and torture. Almost ten years after U.S. troops entered a Baghdad in flames and being looted, Iraq remains one of the most dangerous places on Earth. There are daily bombings, kidnappings, and assassinations. The sectarianism instilled and endlessly stirred up by U.S. policy has become deeply, seemingly irrevocably embedded in the political culture, which regularly threatens to tip over into the sort of violence that typified 2006-2007, when upwards of 3,000 Iraqis were being slaughtered every month. The death toll of March 11 was one of the worst of late and provides a snapshot of the increasing levels of violence countrywide. Overall, twenty-seven people were killed and many more injured in attacks across the country. A suicide car bomb detonated in a town near Kirkuk, killing eight and wounding 166 (65 of whom were students at a Kurdish secondary school for girls). In Baghdad, gunmen stormed a home where they murdered a man and woman. A shop owner was shot dead and a policeman was killed in a drive-by shooting in Ghazaliya. A civilian was killed in the Saidiya district, while a Sahwa member was gunned down in Amil. Three government ministry employees in the city were also killed.